Find deals you’re eligible for in 60 seconds. Complete your profile and get ready to apply. Speak to your mortgage broker anytime, for free. Monitor progress and interact with your broker. Compare your credit profile and personal details with the eligibility criteria of top lenders. Complete your profile, upload documents, interact with your broker and get live updates. Too many lender applications can reduce your chances of being accepted. Our checks don’t. Save an average of £500 on broker fees. Speak to our mortgage brokers for free. Securely upload, view and manage your documents online. No messy paperwork. Get an idea of how lenders are likely to view you with your free credit score. Real advice from qualified brokers. And all for free. Online or over the phone, whatever works for you. Real time updates, no waiting around. The opportunity for private investors to join us. We're on a mission to continue our success. 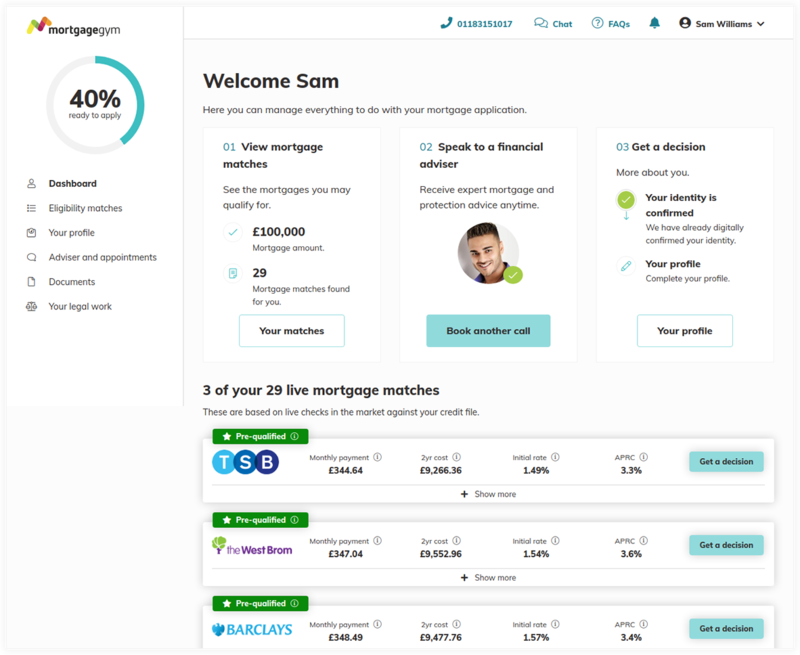 We are now raising funds so we can continue to build our proprietary mortgage technology and fulfil our ambition to be the world's best online mortgage service.